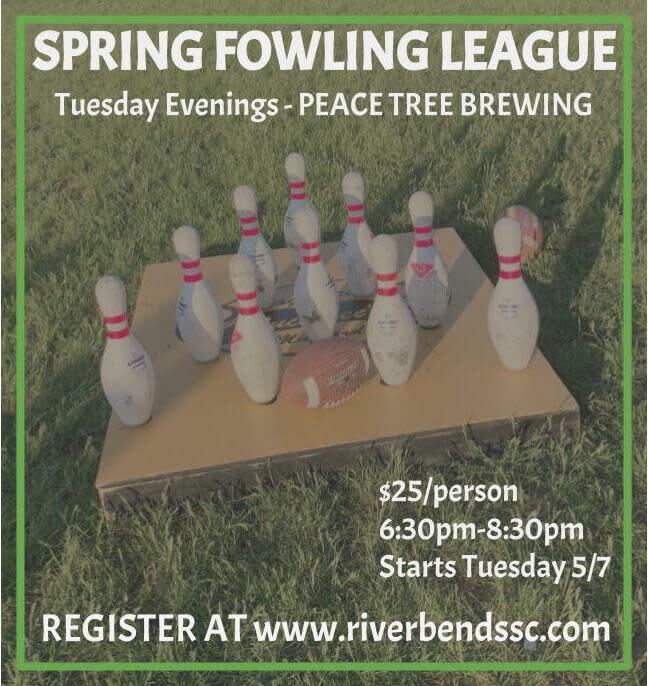 Welcome to Riverbend Sport & Social Club Fowling League!! Come enjoy the newest yard & tailgate game craze! FOWLING! What? You try to knock over your opponents 10 bowling pins before your 10 bowling pins! How? By THROWING A FOOTBALL!! We are excited to announce a partnership with Buckwee's Magnificent Mustard for Fowling Leagues! They were amazing in building the boards and will be bringing samples of mustard out throughout the season. Don't miss it! What a great way to meet new friends! And even better way to hang with old pals!! Fowling is a sport for people of all levels, you can go from newbie to pro in just a few short weeks. We will be playing on the Peace Tree Brewing front lawn. Closed toed recommended but not required. Recreational/Recess: For those that love going back to the days of recess and pals! 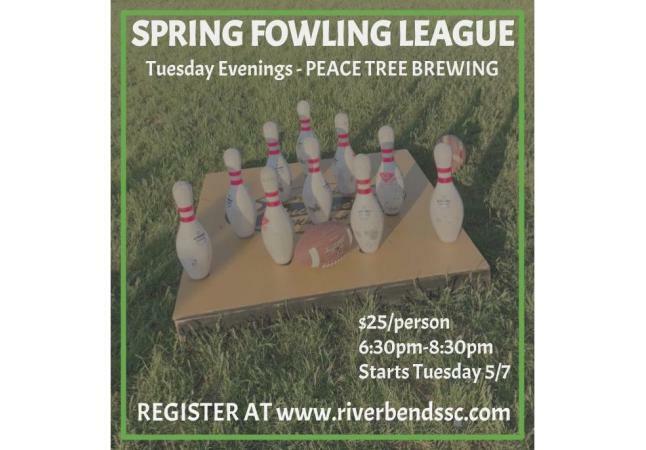 This league will be recreational so if you are ready to have some fun, laugh, and encourage everyone to play, JOIN US!! When registering a team remember each player must sign up on their own, have each player/group be sure to reference one another so we know to place you together. Don't have a team, no problem, register as a free agent. Once we get 3-5 free agents, we will form a team.